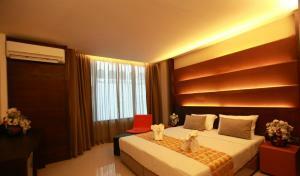 The Bangkok Major Suite is a short walk from the cinema and dining options at Major Cineplex Ratchayothin. 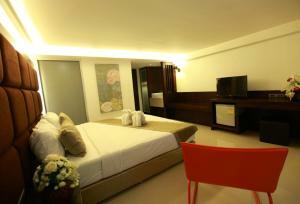 It offers air-conditioned rooms with free WiFi access. Central Plaza Ladprao is 2 km away from the hotel, while both Chatuchak Weekend Market and Mo Chit BTS Skytrain Station are 4 km away. 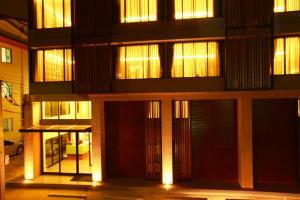 Kasetsart University is 1.6 km from the property and Don Mueang International Airport is a 15 km drive away. Every room has a flat-screen TV, a refrigerator and a balcony. 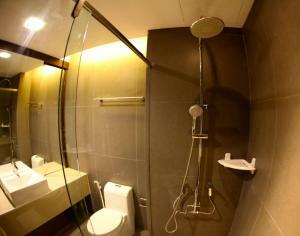 The en suite bathroom comes with a hot-water shower. Please note that the property does not allow children aged below 20 years to check in without an adult. Please inform The Bangkok Major Suite in advance of your expected arrival time. You can use the Special Requests box when booking, or contact the property directly with the contact details provided in your confirmation. Guests are required to show a photo identification and credit card upon check-in. Please note that all Special Requests are subject to availability and additional charges may apply. 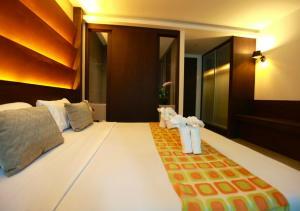 This air-conditioned room features a flat-screen TV, a refrigerator and a private bathroom with a hot-water shower. 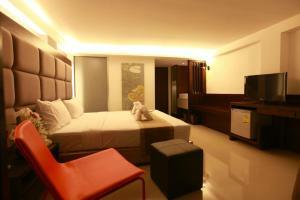 Rate: THB 750.00; select dates below to get current rates.